Product prices and availability are accurate as of 2019-04-08 07:54:19 EDT and are subject to change. Any price and availability information displayed on http://www.amazon.com/ at the time of purchase will apply to the purchase of this product. 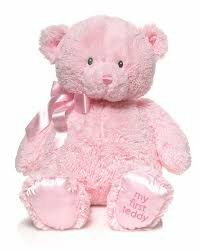 We are happy to stock the excellent Gund Baby My First Teddy-Large-Pink. With so many available these days, it is good to have a name you can recognise. The Gund Baby My First Teddy-Large-Pink is certainly that and will be a excellent buy. 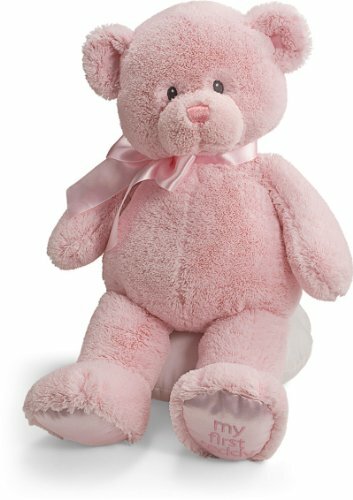 For this reduced price, the Gund Baby My First Teddy-Large-Pink is highly respected and is always a popular choice for lots of people. Gund have provided some great touches and this results in good value for money. My First Teddy-Large-Pink: Luxurious soft plush, 18" tall, Pink ribbon, Satin foot pads, Embroidered satin patch. Legal Disclaimer: Remove all tags before giving to children.